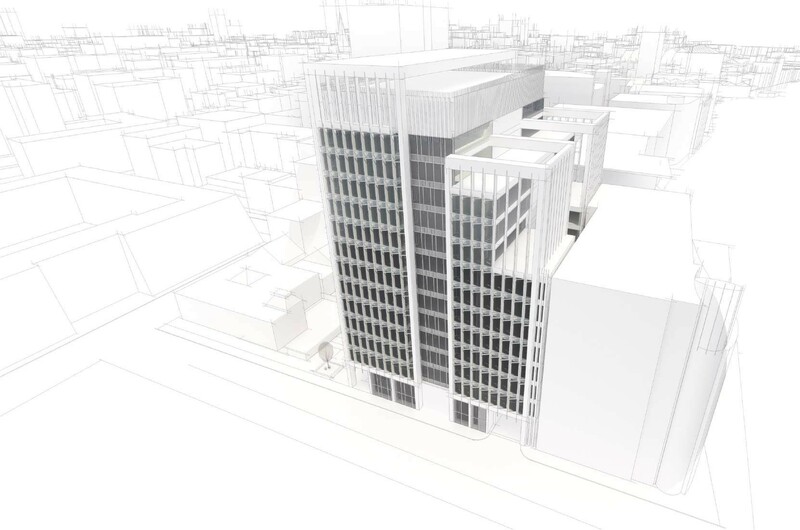 Mosaic Architecture + Design have stepped forward with the next piece in the jigsaw of Glasgow’s International Financial Services District with concept designs for a 200,000sq/ft office block on behalf of Soller Group. 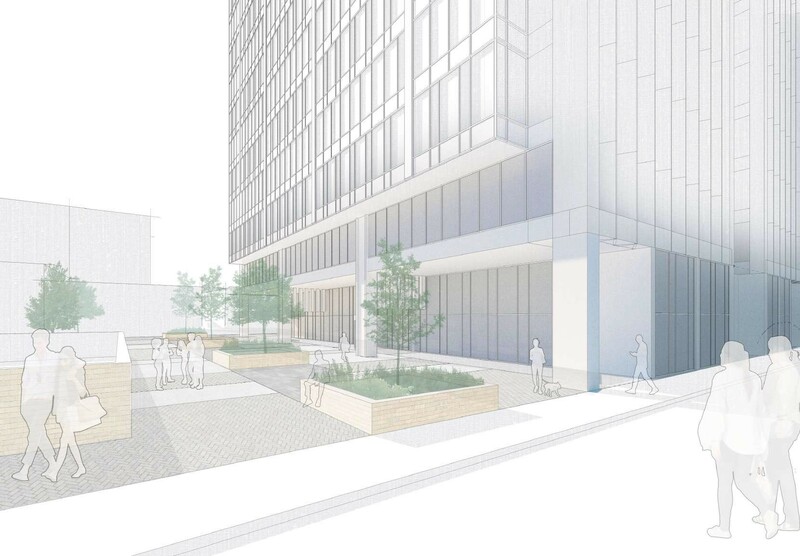 Carrick Square will sit off the Broomielaw waterfront on land currently utilised as a car park, introducing a new public plaza joining Brown & Carrick Street’s to the immediate north of the development which will also double as the main entrance. 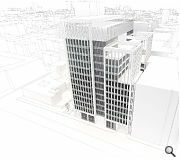 Adopting a U-shaped plan backing onto a central lightwell backing onto existing office space at 200 Broomielaw the scheme will wrap open plan floorplates around a central circulation core. 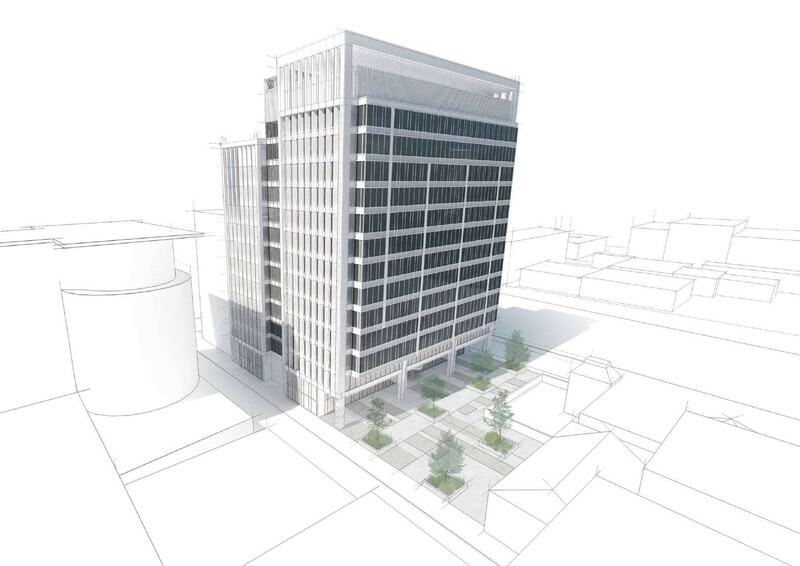 Outlining the design process Mosaic wrote: “The massing is now manipulated in response to the building’s immediate context, in particular the existing office building to the south, creating the opportunity for southern aspects from the building. “The mass is then further subdivided to create a series of stepped terraces which enables a unique commercial space within the city. 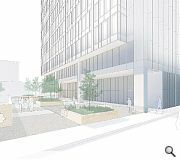 Arranged over 14 floors above basement parking the development will include south facing terraces to maximise views and light. Is there some prize in. Glasgow for the most mundane building design? Great addition to the international glass box district. 14 stories seems a bit high. Otherwise it's an empty, derelict space where a boring glass box is fine but pointless. What does any of this even mean!? 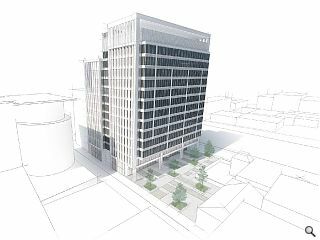 “The massing is now manipulated in response to the building’s immediate context, in particular the existing office building to the south, creating the opportunity for southern aspects from the building.